Howdy MichelleO today and again I am having some fun with another great older High Hopes image. 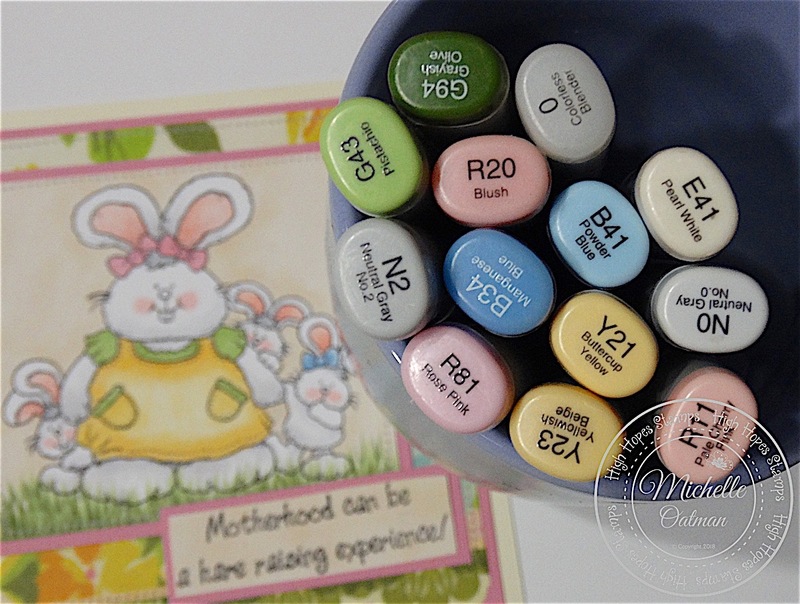 The perfect image for Mother's Day or any card to cheer up the "Busy Mama" in your life! 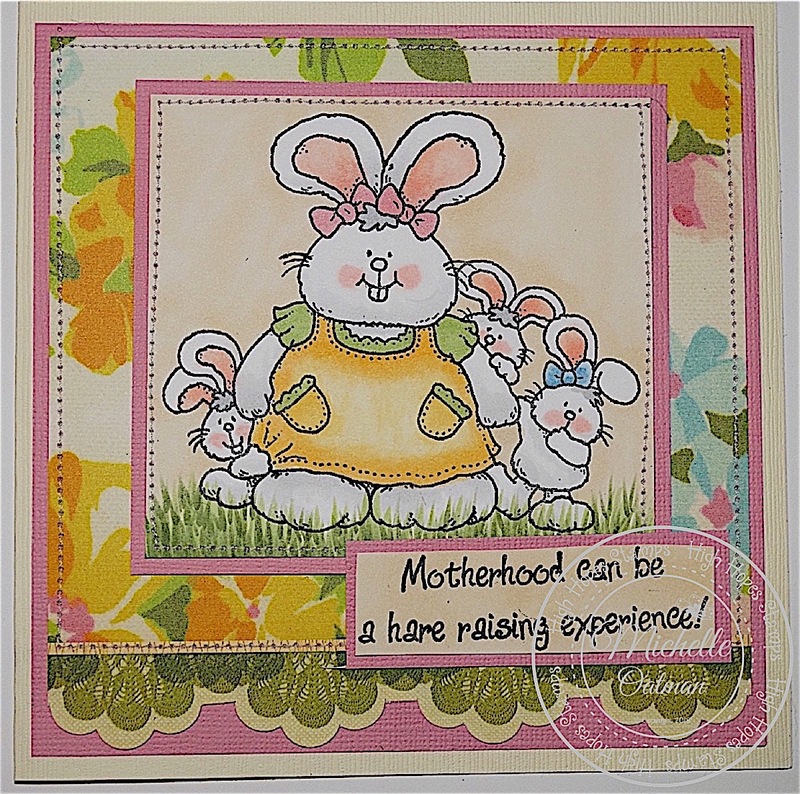 Yes this is one "Busy Mama" - 3 little hares would make any Mama busy don't you think? I colored with my copics and then found an older pattern paper in my stash from Sassafras. I adore that those scallops at the bottom are a printed part of the paper and cut out! 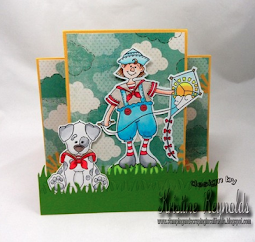 I sewed down the layers with a pink card stock mat and used a cream colored card stock for my card. 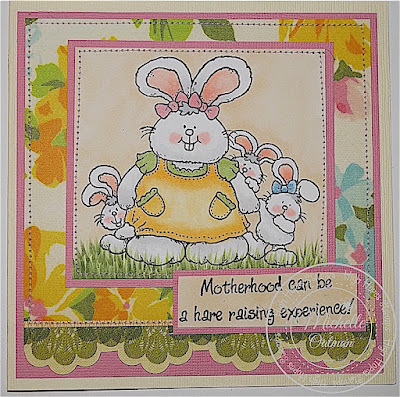 The sentiment "hare raising" is so perfect with the image! Love this springy image. Can't you think of a Mom in your life that would get a smile from this image? 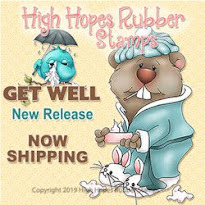 To see all the fun at High Hopes Stamps pop on over to the web site store HERE and have some fun browsing all the fabulous images to play with! Love those adorable rabbits. And what great coloring.